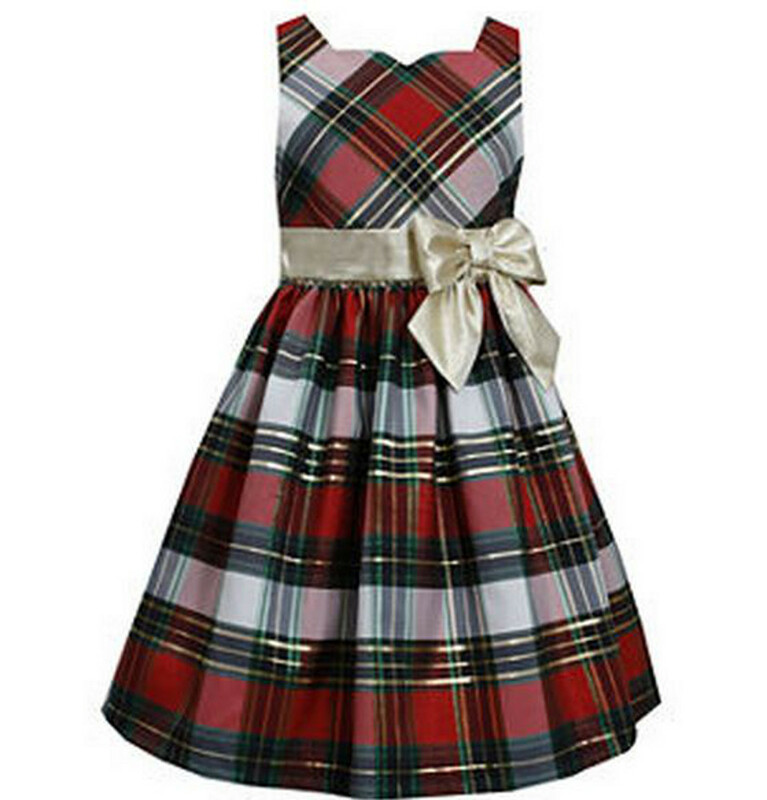 Beautiful girls taffeta plaid holiday dress! Top off her adorableness with this precious dress, featuring a sweet side gold bow. Lined, back zip.